Briancon is the highest city in Europe and claims an amazing 300 days sunshine a year. 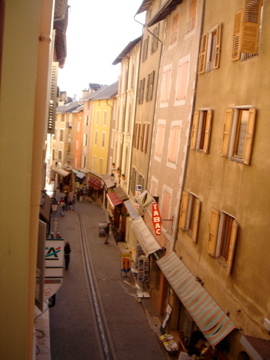 All our accommodation is in renovated old houses in the historic ‘Ville Vauban’. The Old town of Briancon is now a UNESCO world heritage site. This walled city dominates the rest of the town and many bars, shops and restaurants await your discovery in its narrow cobbled streets. In winter a bus leaves the old town regularly to the Prorel gondola. This gives you fast access to the Grande Serre Chevalier ski area with queues which are normally far shorter than those you can expect at Chantemerle.